Seven years ago, Montana legislators approved a water compact with the Blackfeet that was decades in the making. But it took until this week for a Senate committee to approve a bill that could make that deal a reality for the tribe, whose reservation is next to Glacier National Park. It was the first major Indian water settlement to get even this far since 2010. Still, several big hurdles remain before the bill becomes law and money can start flowing to help the tribe use its water resources to invigorate its beleaguered economy. The delay reflects just how complicated it is to negotiate water settlements, especially when disputes date back more than 100 years and the federal government wears multiple hats in the negotiations. In this case, it represents the interests of the tribe as its trustee, U.S. taxpayers and Canada, because of an international treaty. Since the Great Recession, Congress has been especially resistant to Indian water settlements because they are expensive and some House Republicans view them as earmarks. Chairman Bishop last year laid out new criteria for Indian water settlements. He requires that the Obama administration supports the deal and testifies that it is in the net benefit of U.S. taxpayers. The Blackfeet settlement likely will be the first major test case. 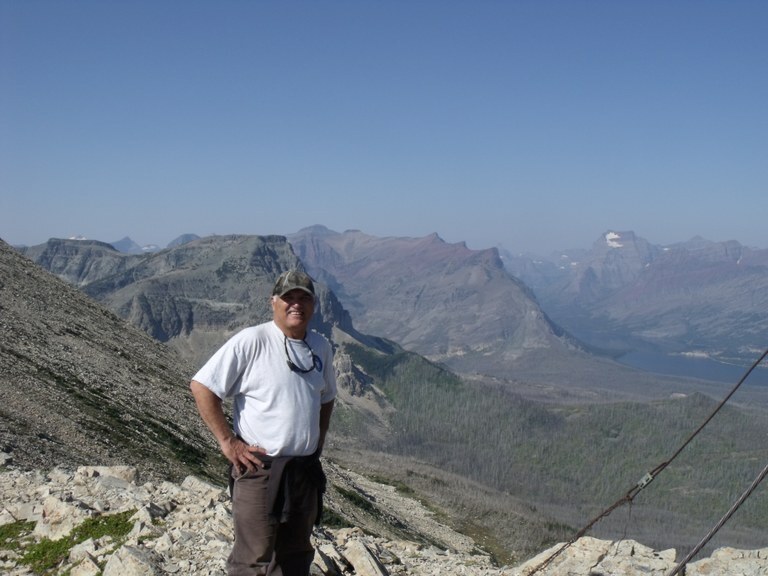 Jerry Lunak, director of water resources for the Blackfeet Tribe, stands in front of the St. Mary River watershed. Courtesy Jerry Lunak. Senator Jon Tester, D-Mont., commended the tribe’s patience during a meeting of the Senate Indian Affairs Committee on Capitol Hill Wednesday. “They’ve been waiting too long,” said Tester, who is vice chairman of the committee. Tester and fellow Montana Senator Steve Daines, R, both pledged to find money not needed for other programs to offset the $422 million in federal funding the bill would provide to the tribe to either construct or update its drinking water system, water storage projects, and irrigation infrastructure. The senators defended the spending, saying it would settle the Blackfeet’s water-related claims against the federal government that date back as much as a century. 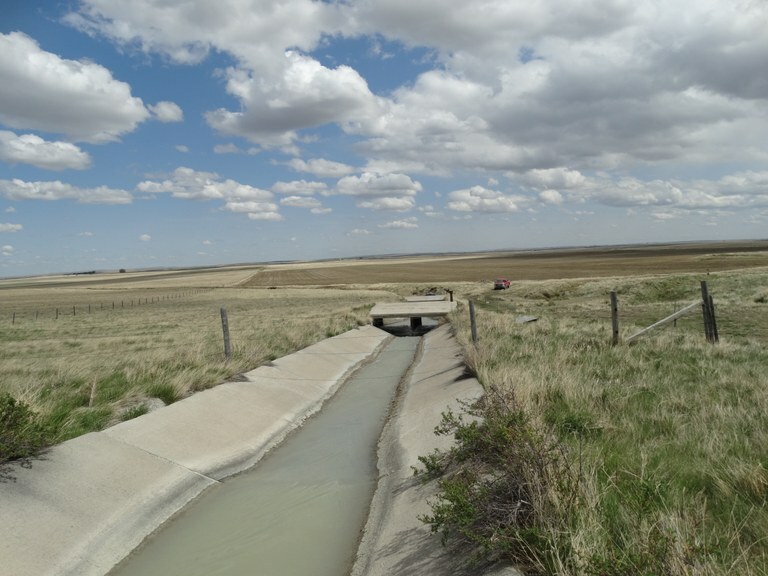 For example, for 100 years, the Bureau of Reclamation has been diverting water from St. Mary River through a massive set of pipes known as the Milk River Project to irrigate farms across northern Montana and across the border in Canada. Establish the tribe's water rights in all six drainages within the reservation, including St. Mary River, Milk River, Cut Bank Creek, Two Medicine River, Badger Creek and Birch Creek. Give the Blackfeet Tribe the ability to use, lease, contract, or exchange water on tribal land, and protect the tribe’s water rights from development by others. Rehabilitate and upgrade the aging Four Horns Dam and long-neglected, 100-year-old Blackfeet Irrigation Project. A diversion on Badger Creek, which directs water to the Four Horns Dam. For the Blackfeet, these projects are crucial to providing jobs and revenue on the reservation. About 10,000 of the 17,000 Blackfeet members live on the reservation in northwest corner of the state in the foothills of the Rockies, where unemployment is above 50 percent. Under the agreement, the state puts up $35 million towards building the pipeline and compensating the Blackfeet for their water. In exchange, the Blackfeet agree not to use more water from Birch Creek until the pipeline is finished. They also agree deliver the water without addition charge until after the 25th year of the settlement. The Blackfeet say the project benefits them because they will eventually be able to sell the water. Also, the pipeline is only part of a larger project that involves repairing the dilapidated Four Horns Dam and reservoir and an archaic irrigation system. “With the water, we can use agriculture as a catalyst to develop our economy going forward,” says Lunak, water resources director for the tribe. Note: An earlier version of this story said that the state agrees to provide $14.5 million towards building the pipeline. In fact, under the current version of the agreement, the state's total contribution would be $35 million, $20 million towards the pipeline and $14.5 million to compensate the tribe for not exercising its right to use more water from Birch Creek and for providing water from the pipeline until the 25th year of the water settlement.